When our gardens overflow with the season’s harvest, most of us have more than we can use or save for later. Thankfully, there are a number of ways that we can share the harvest with others in need or with those who, for some reason, don’t have a garden of their own. 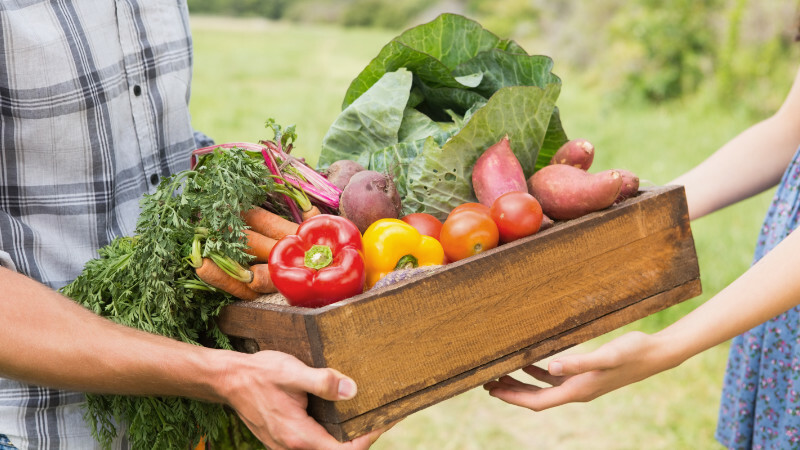 The easiest way to share the harvest is to give extra vegetables and flowers to our friends, family and neighbors. Some folks simply take a basket of fruit or vegetables to work and let people help themselves. It’s a good idea to take a few bags along as well, to make it easier for your friends and co-workers to “shop”. You’ll not only reward your friends with good, fresh produce; you might even encourage some folks to start gardening! Many churches and civic organizations have food pantries for the needy. You can probably find one in your area by doing a Google search for “share the harvest”. If you can’t find one, maybe you can start one, or encourage someone to start one in your area. One of the great joys of gardening is to share your harvest with others. One of our enterprising Mantis® tiller owners sells his extra vegetables with a simple roadside stand that encourages anyone who wants fresh vegetables to leave a “free will donation”. He reports that he collects more money using this method than he used to get when he priced his vegetables for sale. Simply put up a sign to encourage folks to “take what they want, leave what they can”. A small box or empty coffee can makes a good cash register. Even if you don’t collect much money, you’ll be helping others and making the world a better place. Please share your suggestions or stories of how you share the harvest on our Mantis Facebook page. As gardeners, we universally dislike wasting anything. Gardeners tend to be more in touch with the environment, and wasting anything that we grow just goes against our nature. Thankfully, with just a little bit of effort, you don’t need to add to your local trash stream. The easiest way to reduce wasting what you grow is to give away that which you don’t need or can’t use. An abundance of tomatoes can be shared with co-workers, neighbors, or even strangers. A basket of home-grown vegetables is a thoughtful and creative hostess gift, with or without the traditional bottle of wine. One of our customers reported that he sells his extra produce in a very low-key way. He puts vegetables on a picnic table in front of his house, and invites folks to pay whatever they choose. He uses the cash received to buy supplies for the next year’s garden. Another customer invites neighbors to visit his garden and pick anything that’s ready when he goes on vacation. He says that he never comes home to over-ripened vegetables and the pests that they encourage. He also likes the idea that his neighbors keep an eye on his house while he’s away. Even small scale casual gardeners can easily preserve many garden vegetables for later use. While canning and drying vegetables can be time-consuming and require some special equipment, freezing extra produce is easy. Beans can be blanched (boiled for two minutes, then immediately cooled in an ice water bath) and frozen in plastic bags. Tomato sauce can be frozen in plastic containers, and then transferred to plastic bags for easy, nearly air-tight storage in the freezer. The ultimate recycling of extra garden produce, especially fruits and vegetables that might not be good enough to give away or preserve, is to compost them. You’ll reduce the amount of waste going into the trash stream, and you’ll be preparing for next year’s garden. Remember, however, that fruits, vegetables, and other “green” materials need to be balanced with “brown” compostable material to create good compost and to avoid having your own personal garbage pit.